Katoomba Falls is around 10min drive from three sisters, the waterfall is very nice, and water is crystal clear. The area is quiet wet all year, and plenty of water for your waterfall photo. Just drive east along Cliff Drive from the Scenic Railway you can discover the Cascades and walk to Katoomba Falls. 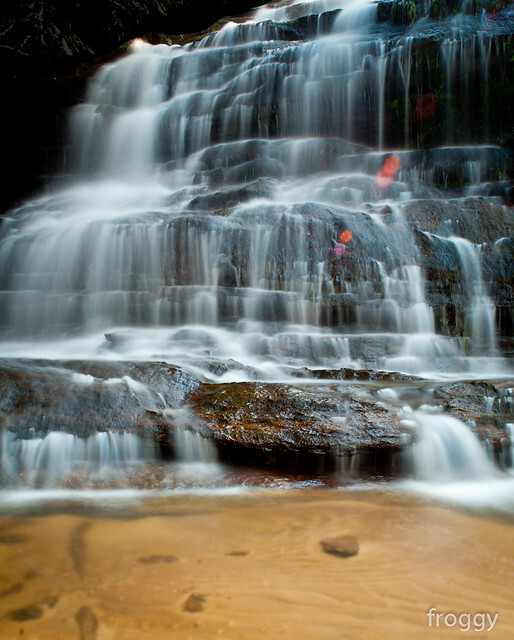 There are two good photo locations of katoomba falls that I know. Most people will go and take photo of the tall falls, however, I found the short falls is more interesting for photo. Especially if you want close-up waterfall, and don’t want to walk a long distance with your heavy photo gears. The waterfall is just 5min walk from the car park, very easy to get to. The short waterfall is covered by bushy, you should be able to get good photo most of the time, except when the sun is directly above. Lens, wide angle. 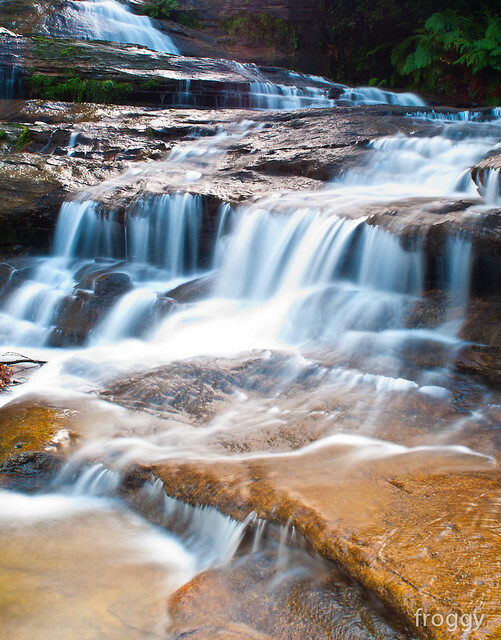 The waterfall is smaller than you think, pack a 14-35mm lens. Water-proof shoes, the road can get very well. Almost any time in the day except when the sun is directly above you. I drive and park at Cliff drive. See Google map. Thanks for this guide. Just to clarify – Katoomba Falls is west of The Three Sisters off Cliif Drive, not east. It is Leura Cascades which is east of The Three Sisters – also off Cliff Drive.